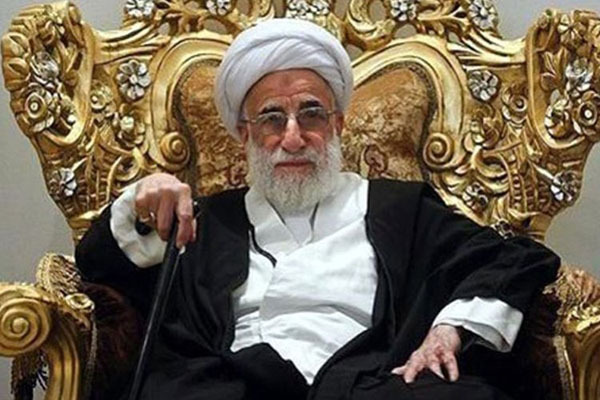 The remarks came from Ahmad Jannati, the Chairman of the Guardian Council, a powerful body with a great deal of influence on Iran’s governance, in a speech at Ruhollah Khomeini’s mausoleum. “The people are willing to give their lives but not their religion,” added the powerful cleric, ignoring the fact that Iranians from all walks of life have spent the past year protesting in the streets for regime change. National Steel Group workers marching & demanding delayed paychecks & protesting the regime's corrupt policies. Haft Tapeh sugar cane mill employees rallying for the 24th day, demanding delayed paychecks & protesting corrupt practices by the company's private owners. 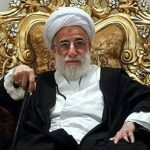 Jannati claimed in his speech that the clerical regime had survived for forty years because “Iranians had resisted the enemy.” The Iranian regime characterizes anyone who threatens its claim to power as the enemy, from the MEK and the Iranian Opposition to the United States. In truth, the mullahs’ regime has remained in power since the Islamic Revolution in 1979 solely because of its extensive use of suppression and brutality against anyone who opposes its rule. Those who have dared to speak against the regime have been systemically silenced, imprisoned, tortured, and executed during the forty years of the mullahs’ rule. In his speech, Jannati acknowledged that Iran’s economic crisis is causing Iranian families to suffer. He urged people to remain hopeful in spite of the problems facing the country. “America is in decline and we should not be afraid and lose hope in ourselves. Our problems have solutions and we have to believe that we can,” he said, without offering any evidence to support his claims. Some experts say that 80% of Iranians now live below the poverty line. Many of these people cannot even afford to buy food for their families. Some have been forced to sell their organs in order to pay for their families’ basic needs. Jannati’s remarks are not uncommon among regime officials, who frequently speak about the Iranian people’s great love of the regime. The Iranian people are not fooled by this propaganda. In the streets of Iran, people chant, “Death to [regime Supreme Leader] Khamenei!” and “Death to [regime President] Rouhani!” On social media, Iranians defy censorship by using the hashtag #IranRegimeChange. MEK members inside Iran put up posters and signs celebrating the Resistance and MEK leaders. These brave people put their lives and freedom at risk to show that they are unhappy with the ruling regime and the lies told by its leaders.